Archaeologists have made a rare discovery during their second season of work at a Medieval castle in Aín, Castellón, Spain. 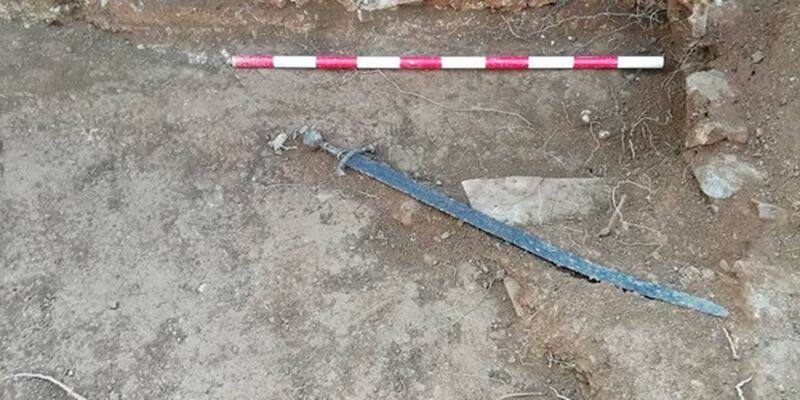 The have unearthed a 700-year-old sword that is in a remarkable state. The style suggests it dates to the time of a significant Spanish historical event – the War of the Two Peters. Archaeologists discovered the sword under a mortar floor in a large room with a hearth and a work bench. They made the discovery while they were working on their second phase of a project aimed at strengthening the southwest sector of the castle wall. This is meant to stop the deterioration of the monument and guarantee its stability, with the hopes of making the castle a first-rate historic site.